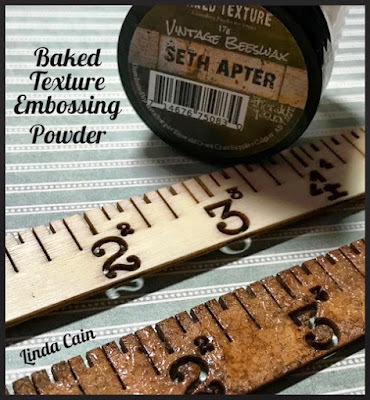 It has been so exciting to see what all you creative people out there are doing with Baked Texture, my new embossing powder for artists from Emerald Creek. 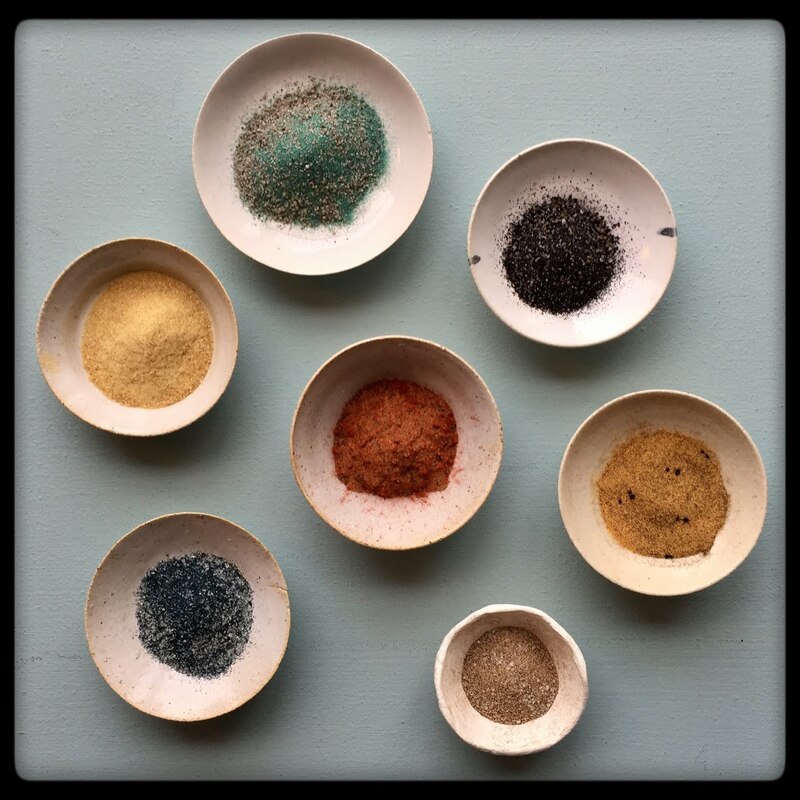 My hope with these powders was that people would find non-traditional ways to use them. And you haven't disappointed. I'd swear that these were old metal pieces rather than chipboard covered by Linda with Baked Texture. 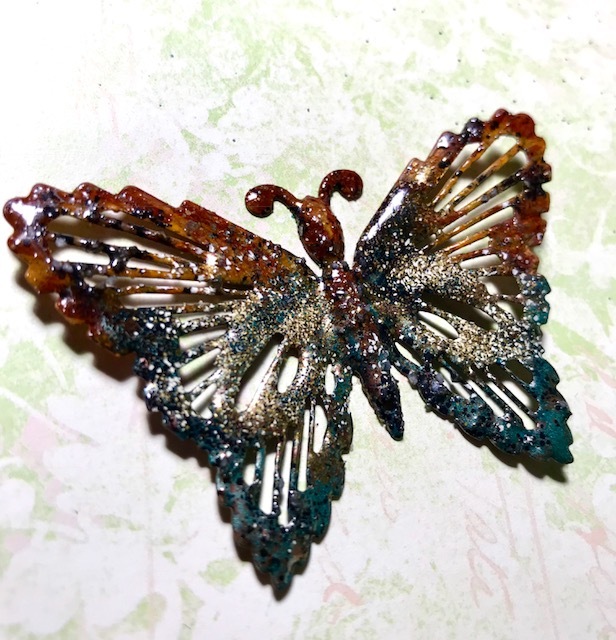 She used Ancient Amber, Deep Sea and Patina Oxide. And look at what she has done with Vintage Beeswax. 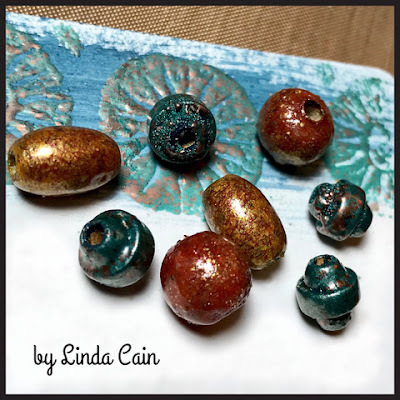 These beads were first painted with my PaperArtsy paints in Midnight, Terracotta and Mahogany, then rolled in ink and covered with a variety of Baked Texture. A blend of my PaperArtsy Fresco Finish Chalk Acrylics and Baked Textures. 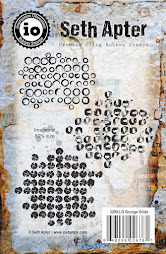 ...traditional stamp effects, here using Chunky Rust. And here is one more...just because! 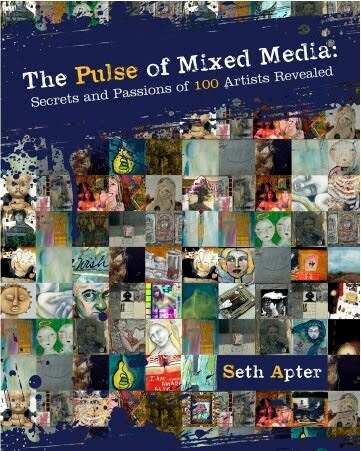 If you liked what you saw, head over to visit Linda at her blog and tell her Seth sent ya! WOW! Just WOW! I need to learn some more techniques. Helen. 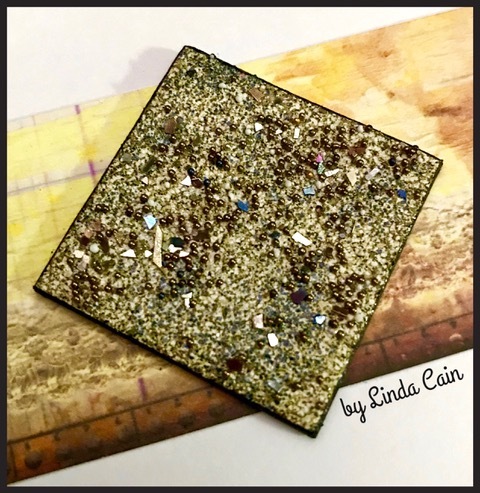 Linda is amazing with every product she uses! You are right Seth, a magician for sure! 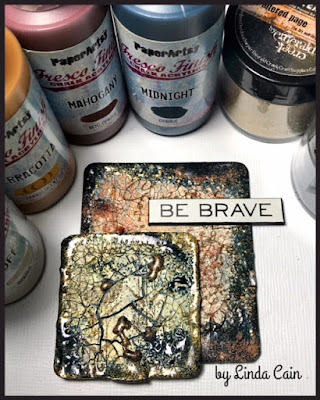 She totally rocked out your embossing powders collection! 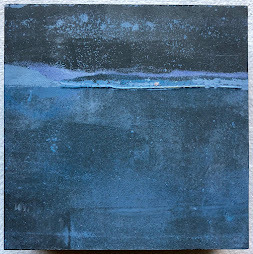 I have to say Linda's b;log is one of the very first blogs I ever found and have been following her and am a HUGE fan of her art! Besides all that, she's a great lady! 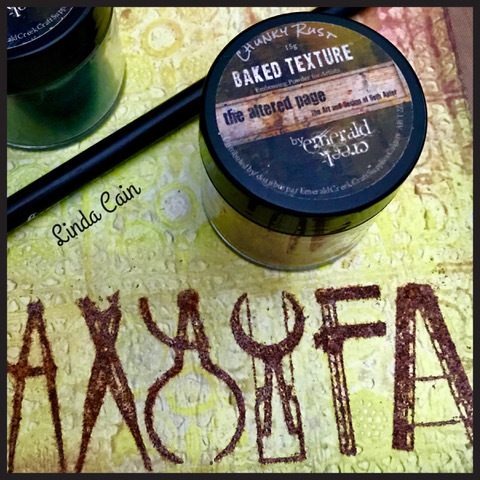 A lot more than “liked” for sure, Linda’s use of your baked textures is amazing and an absolute feast for the eyes! She definitely knows how to create some spectacular finishes and seeing these embellishments in her work always adds such interest. 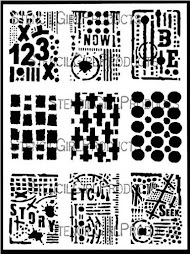 Wonderful examples Seth, and Linda’s blog is always a worthwhile visit. 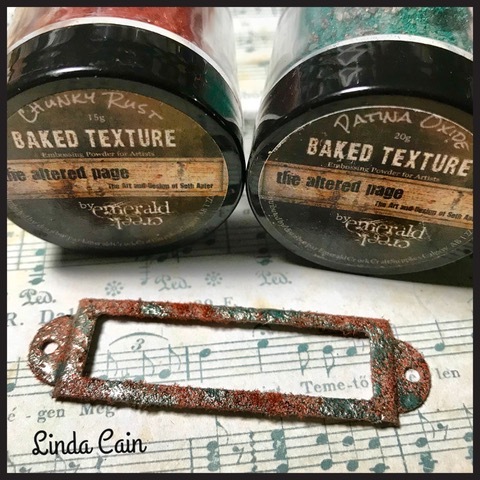 Linda's 'baked' embellishments/ surfaces and ultimately the art she creates with them is/are absolutely amazing and so inspiring . She is a 'Queen' of her craft and an all round lovely lady too. So happy to see her featured. 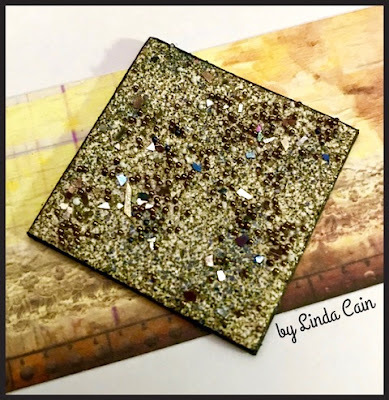 I'm a long time admirer of Linda's work, she always creates stunning and magnificent pieces. 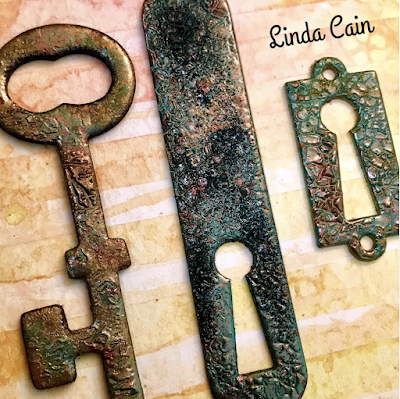 Linda has been a fabulous source of inspiration for me. I love and adore her art. 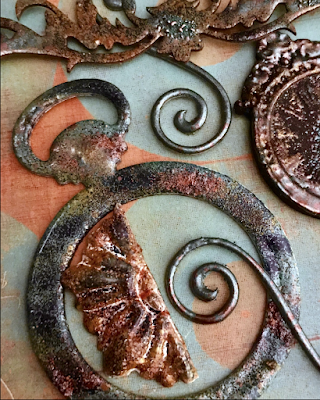 These examples with baked textures prove once again that she is a magician. Thank you so MUCH for sharing these gorgeous pieces of art.